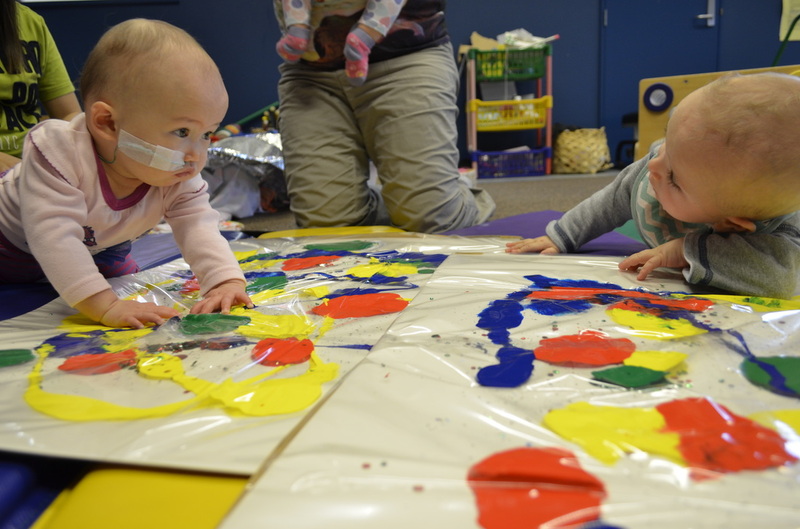 ​Family lie at the heart of everything we do at Conductive Education Canterbury. We believe that the family are the most important people in a child’s life and therefore play an integral role in the curriculum at our centre. Conductive Education Canterbury provides an environment which is responsive, positive and reciprocal by encouraging a sense of identity and belonging and reflects the values of whanaungatanga and manakitanga. We believe that a person does not develop in isolation; rather they are part of a family, society and culture. 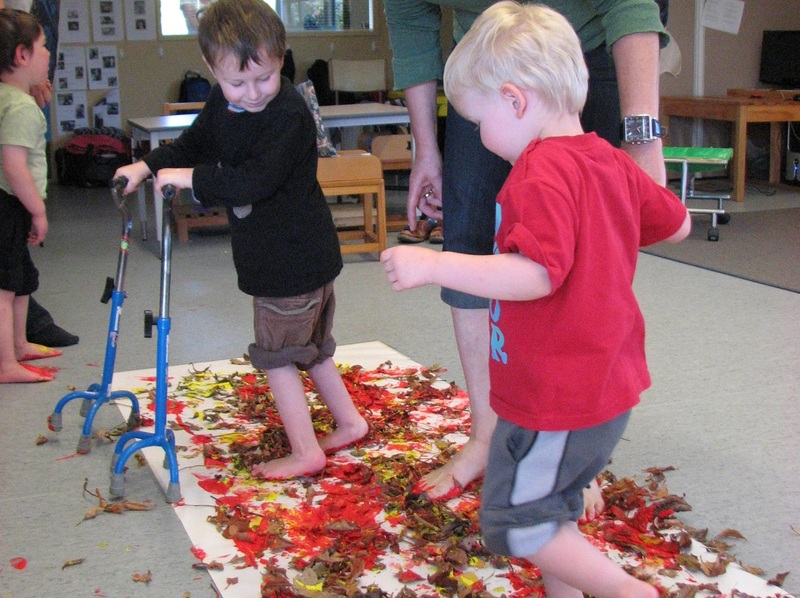 An integral part of Conductive Education Canterbury is the involvement of the family. By teaching the parent/s, caregivers and whanau about the learning needs of the child they become valued, active participants in the development of the child. Parent/s, caregivers and whanau learn how to facilitate the active participation of the child in daily routines and how to increase the child’s level of activity. Parent/s, caregivers and whanau are welcome to stay and participate in the programmes. Planned visits into the wider community are incorporated into centre programmes giving family members, whanau and friends opportunities to be involved. Visits from members of the wider community are also incorporated into the centre programmes. The daily routines include; special events such as birthdays and cultural celebrations, family happenings, interests of the children and the family as well as spontaneous happenings. We know that children learn through responsive and reciprocal relationships with people, places and things and, therefore, the society in which a person lives will influence the intensions they develop. Our centre environment encourages a sense of identity and belonging through responsive, reciprocal and positive relationships with adults and peers. The group teaching style of Conductive Education Canterbury gives a dynamic base for children to learn alongside others. Conductive Education Canterbury embodies and facilitates ‘expectation’ and it is through the group process that the children themselves become motivated; realizing that they can learn and accomplish and that this process can be challenging, exciting and stimulating. IT CAN BE FUN! Through this process children begin to take responsibility for solving their individual motor problems through active exploration, thinking and reasoning. Further to this, we know that when children are learning to communicate they need to frequently be in situations where they have someone to communicate to and something to communicate about. The group provides this naturally. The group fosters a highly useful pool of personalities and skills, which can be used to set up scenarios that capture the interest of the children and that require particular types of communication. Conductive Education Canterbury is a holistic approach to learning and development, encompassing all aspects of a child’s life. We believe that human learning involves the development of understanding and the construction of an image according to each person’s view of reality, developed within their life experiences. Learning is conscious and active. Our environment reflects the holistic way that children learn because we know that human function is holistic and people learn to function holistically. Action structured by intentions and movements cannot be viewed separately from other functions. To achieve their intentions a child needs to integrate all the skills required (cognitive, emotional, social, sensory, motor and communication). 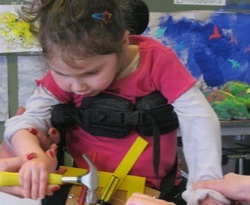 Conductive Education Canterbury provides a stimulating environment, which is accessible to children and adapted to their specific needs. Group activities and equipment are appropriate to the children’s ability and developmental stage. The environment is as flexible as possible so the changing needs of the children can be met. We believe that people are not machines, which can be programmed to learn. They are humans who choose to learn, achieve and solve problems. Learning requires active participation and willingness; it is a process not a product so the individual must consciously choose to participate. Programmes include experiences that combine both structured and informal opportunities for self-expression and creativity and the center environment facilitates children’s curiosity and explorations, fostering self-paced and direct learning. We believe that this promotes self-esteem and self-reliance; encouraging a sense of identity and belonging. Staff respect the children’s rights; teaching and encouraging them to respect the rights of others. Children are given positive guidance with regard to their age and stage of development.